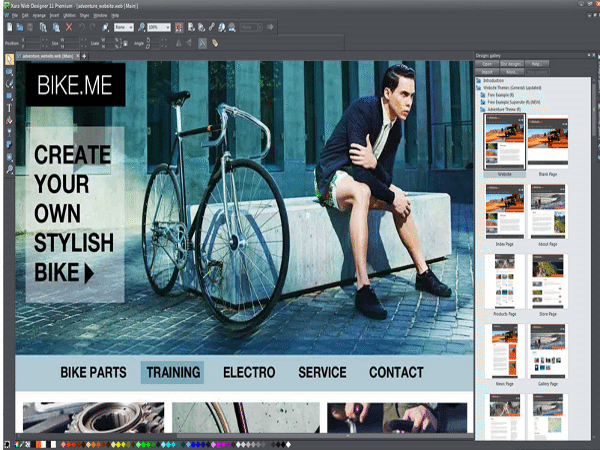 Image editing is somewhat basic compared to other web development softwares. Does not include navigator to help you comprehend the hierarchy of website info. Single Page SuperSites – This website design software renders the prospects to depict the complete site as a single site, where you could make use of scroll or swipe to easily navigate through the document. 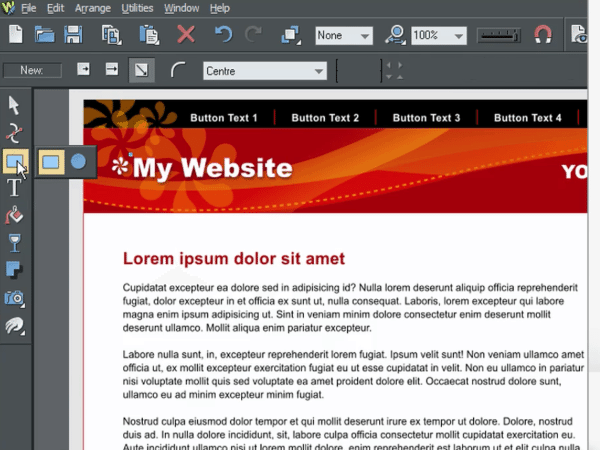 If you still want to present the website in old-fashioned manner, XARA has solution for you also. Super-slick animated page transitions lets you present the website in flair. Animation effects – You could add a multitude of animated effects in your website and serves as the right fit for supersites and presentations. 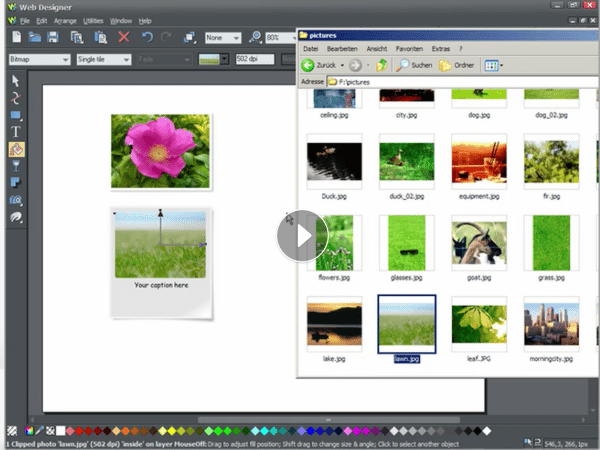 Flash & GIF animation – This feature is one of the highlights of this web designing software, you may export as .swf format with XARA web designer. 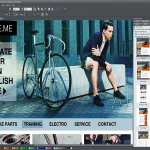 Website presentations – Users could effortlessly design ‘slide-show’ style presentations, and could easily navigate by means of keyboard arrow keys. Animated transition effects also help to take website design software to an all new level. All-in-one webdesign solution which encompasses customizable web graphics, webpage and website template designs. Compatibility – Browser compatibility : IE 8+, Firefox, Safari, Chrome, additional import features in premium includes SVG, ODP, PPTX. 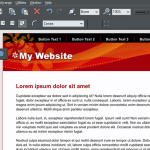 Additional widgets – XARA Web Designer encompasses resizeable photo and content slideshow features to render your website more vibrant. It also offers a range of of interactive chart and graph widgets to make the website teeming with life. Stretching backgrounds – Web softwares devoid of page boundaries are the latest trend, as you could make use of pictures, photographs or backgrounds to fill the web browser windows. Document Sync – One feature that impressed our testing team is document sync feature by using either Dropbox or Google Drive. Capability to sync files in cloud platform makes it one of the most sought after website creation software. 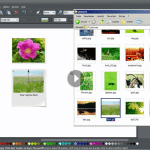 Customization as needed – It lets you to drag and drop your own images, customize colors, drag and drop text panels etc. 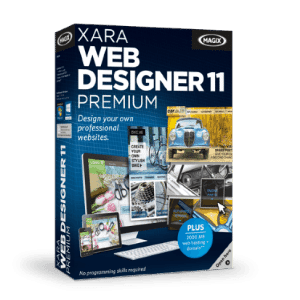 If you are looking for a good web development software that does not require dynamic horizontal geometry, XARA WEB DESIGNER 11 PREMIUM is a good option to go for.